You may have noticed from my work that I have a deep attraction for photographing trees. 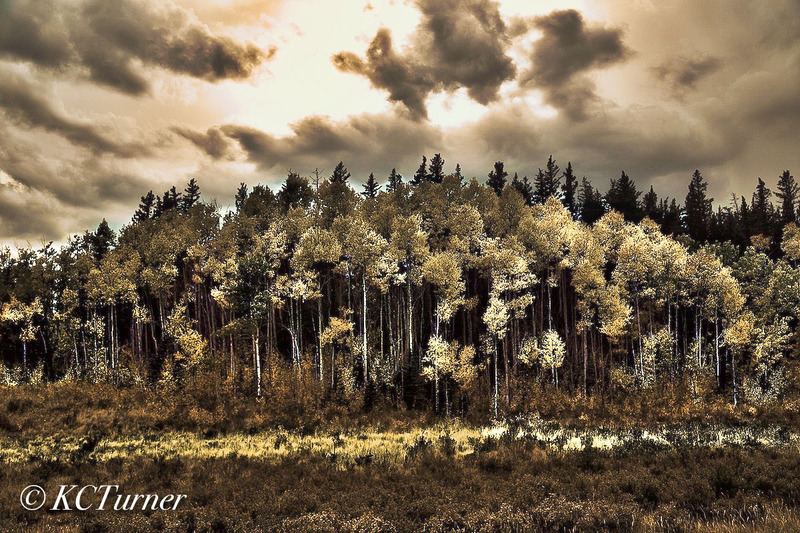 This is especially true when the treescape includes a beautiful, oft times ominous, Colorado skyline filled with richly textured clouds and awesome groves of Aspens. Photo © copyright by K.C. Turner.